Alan Fuentes-Guerra is a Mexican dancer and teacher currently living in Berlin. He has received his education at EPDM and SEAD at the post-graduate program “Bodhi Project”. He has worked internationally with choreographers like Sita Ostheimer, Etienne Gilloteau, Cecilia Lugo, Miguel Mancillas, Francisco Córdova, Marion Sparber amongst others performing in Mexico, USA, England, Austria, Germany, Spain, Italy, Hungary and Israel. 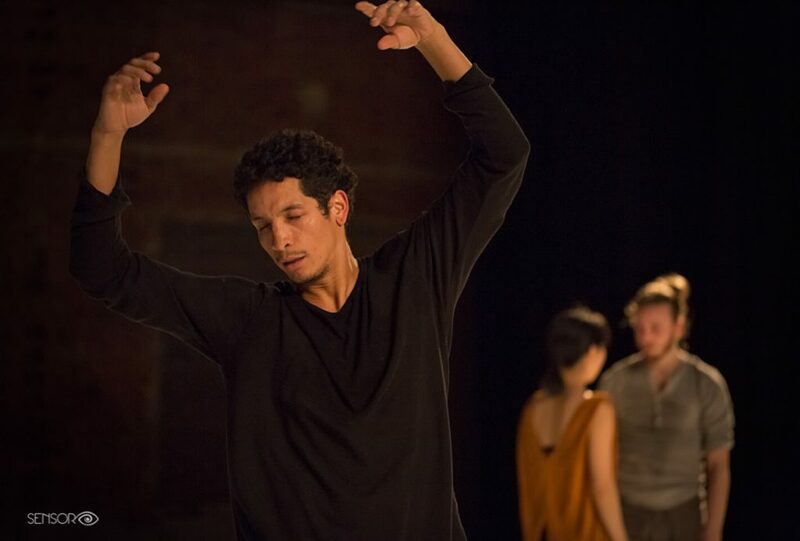 His personal interest in dance is rooted in human communication and human development, as well as into mixing different movement approaches, such as capoeira, physical theater and music. Espacio Continuo makes a reference to the idea that we live in a world of constant change. Therefore we, as dancers, should be aware of this fact and allow our perception to be open and ready. Our attention needs to be sharp and we must be prepared to accept the change and go with it. I like teaching Contemporary dance technique with an emphasis on floor work; with the purpose of applying the sensations harvested from the floor into a vertical standing position. Activeness and strong physicality are important to me, so I keep an alert-open-sensitive state during the entire class. We start the session by warming up our whole body as well as our mental attention towards it. The beginning of the class is focused on amplifying the range of motion of all the articulations in the body from smaller to bigger, mixed with a playful way of working on strength and flexibility. The next step in the development of the class is in acknowledging and directing the breath, which should be connected to the movement of the body itself. In this way, we create a continuous flow that is intended to stay along the class. Improvisation, partnering, space awareness, attention of our body and attention to others are mandatory elements to every performer, so I make specific emphasis on developing these skills as part of the training. All in the end, Espacio Continuo is intended for the dancer to develop helpful tools in the path of self expression.